Gold is trading at Rs 29,547 per 10 grams in futures trade today as speculators built up fresh positions. 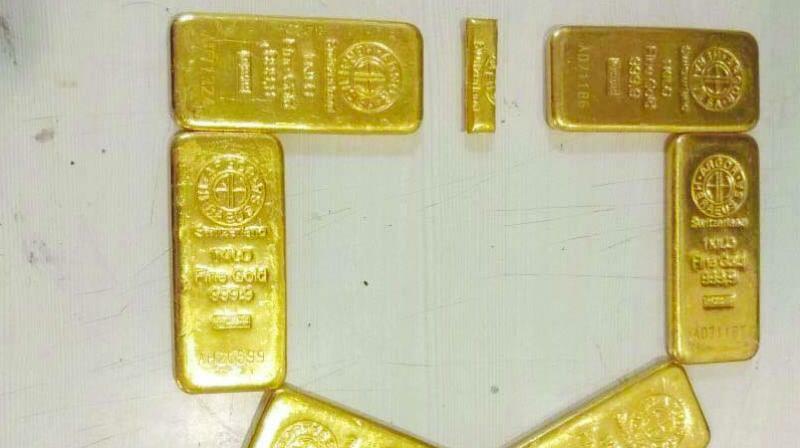 Globally, gold rose 0.33 per cent to USD 1,194 an ounce in Singapore. New Delhi: Tracking a firm global trend, gold prices moved up by 0.17 per cent to Rs 29,547 per 10 grams in futures trade on Tuesday as speculators built up fresh positions. At the Multi Commodity Exchange, gold for delivery in October went up by Rs 50, or 0.17 per cent, to Rs 29,547 per ten grams in a business turnover of 108 lots. Market analysts said fresh positions created by traders in sync with a firming global trend where gold prices rose on the back of a weaker US dollar, after US President Donald Trump said he was “not thrilled” with the US Federal Reserve for raising interest rates.